If you are in the market for baby furniture, you've got to stop & see David and Bonnie Goldberg at Baby Blossom. They are a one stop shop for all your baby needs. From quality cribs to the latest & greatest in gear, you'll see why they just celebrated their 10th anniversary. Baby Blossom grew out of the frustration that many parents encounter in their search for baby and children products. The big box stores often make choices overwhelming and the availability of knowledgeable staff can be a challenge. David & Bonnie launched Baby Blossom in 2007 to offer a place where you can have one-on-one conversations with product experts in a setting that offers just the right amount of choices. With 4 amazing Stores throughout the DC Metro Area, Dawn Price has built a little DC baby empire. You can always visit to see what is new in children's fashion. From clothes to toys, you can find the best gift or outfit for your little one. 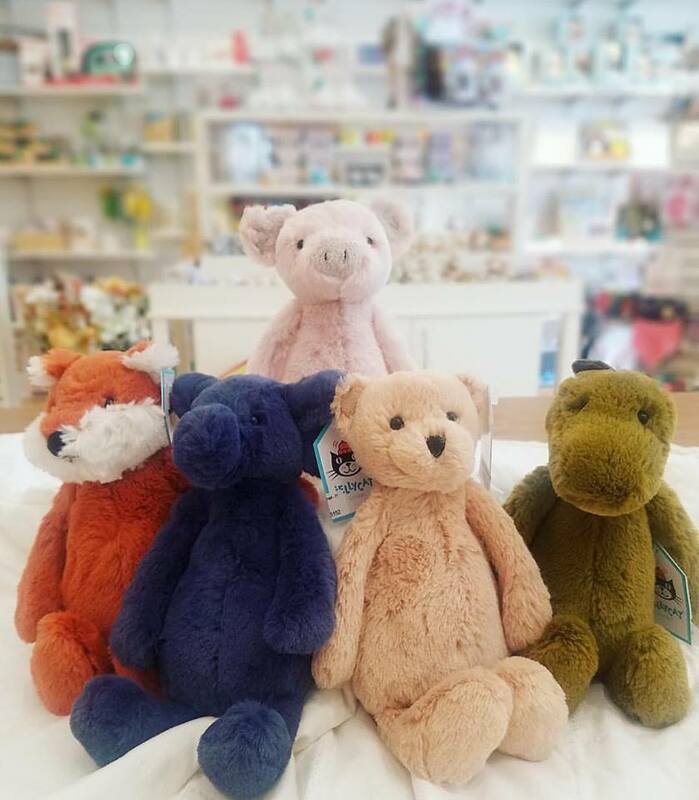 One of the more popular baby stores in the area, Dawn Price Baby has been around for over 12 years and has four convenient locations in the DC Metro area. 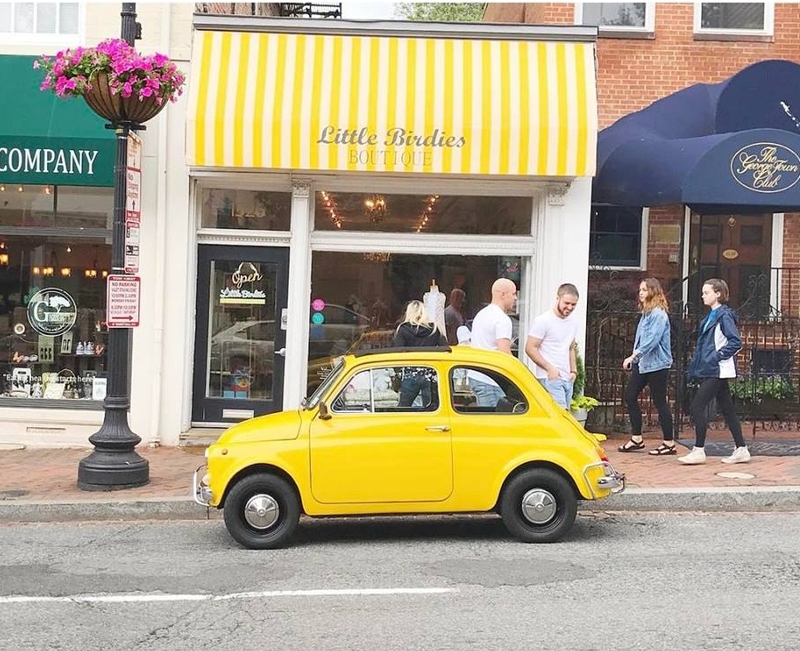 One is in the heart of the DC in Capitol Hill, another in quaint Georgetown, the third located at the Reston Town Center and the last in the new Mosaic District shopping center in Fairfax. Each location features a wide, well-edited selection of baby and toddler clothing, gear, toys, books, and gifts. If your craving a customized, personalized design service when preparing for baby, Everly & Monet (formally Daisy Baby) is your place. From furniture for your little one to the final decor touches, Dana Evans will help you curate best offerings for baby & kids. Making things your own and offering lots of options is what we love doing each and every day. After 12 Years in business as Daisy Baby servicing the DC Metro area in top Gear, Bedding & Furniture, we are excited to focus on our favorite aspect of the business. The Design!! Everly & Monet is all about bringing your inspirations for your little ones to life. When you are in need of the perfect outfit for a baby who is a little prepster with sweet southern charm, Little Birdies is the place to go. From children's clothing to precious shoes, this little shop nestled in the heart of Georgetown, is perfect for Sunday browsing. Little Birdies Boutique offers upscale children’s clothing, shoes and accessories from newborn to size 10. In-house custom monogramming is also available. They launched their business in 2013 and opened their doors to the public early 2014. Little Birdies Boutique™ takes a southern approach to children's wear offering nostalgic, traditional clothing mixed in with fun playful styles. Although these 2 stores may not have a huge web presence, they still are adorable boutiques. You've gotta add them to your shopping trips.